June 15th has always been memorised as the Danish Flag Day through the years for members and friends of the Danish-Estonian Chamber of Commerce, the Danish Embassy and the Danish Cultural Institute. The event is FREE OF CHARGE to everyone sigining up. Please register at info@decc.ee the latest Thursday, June 13. Suuresta is situated 19 km from Tallinn towards Tartu. In case of 10 or more persons who would prefer to get to Suuresta by a joint bus, we will organize it. Else, we expect you to arrive on your own or cooperate on car-pooling. Looking forward to many replies! 2013-06-15 12:00:00 2013-06-15 00:00:00 Europe/Tallinn Welcome to Family Golf'nic! 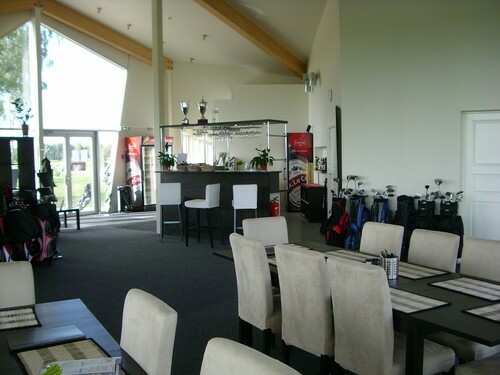 The golf course is located in Suuresta and is the closest golf course to the center of Tallinn. There is a 19km and only a 20-minute drive south from the city center of Tallinn, conveniently close to the highway and airport in the direction of Tartu. The site includes beautiful undulating hills and has a rich Estonian countryside flora. The first nine holes were opened in 2004. Construction of the new nine holes started in 2006 and new holes were opened in 31.07.2008.